When I was a boy growing up in the New York area, I was always drawn to the North. North was the direction of the Catskills where I went to summer camp and the Adirondacks where we went fishing and camping. North was the direction the compass pointed, north was where to find the North Star. North was where Sam McGee and Dangerous Dan McGrew and all those other heroic characters from the Robert W. Service poems lived. North was the direction of adventure and freedom and derring-do. 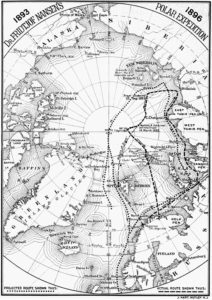 It wasn’t until I was in my teens that I had any awareness of the other pole, the “anti-Arctic.” That’s when I discovered the book that changed my life and remains one of my strongest influences to this day: Endurance, Shackleton’s Incredible Voyage, by Alfred Lansing. Shackleton set my imagination on fire with a flame that still burns bright today, forty-five years later. Shackleton led to Scott and Scott led to Amundsen and soon my youthful yearnings were pointed due south to Antarctica, the great white wasteland, the frozen continent, the last place on earth. And, as you may know, I have spent the major portion of my adult life telling the stories of those heroic and tragic adventures at the bottom of the world. But even as the South captured my imagination and commanded my passion and my attention, The North was always there, waiting, whispering, calling. And so this year, for the first time ever, the Armchair Adventurer goes north, to Norway and Greenland and the East Siberian Islands, to Svarlbard and Spitzbergen and Franz Joseph Land. This year we go all the way back to the 1890’s, to the father of polar travel: the one and only Fridtjof Nansen. Before Shackleton and Scott and Amundsen ever dreamed of the lands of ice and snow, there was Nansen, the great Norwegian, the pioneer who blazed the trail and showed them all how it could be done. After he led the first ever crossing of Greenland on skis and set a new record for the Farthest North by locking his ship into the Arctic ice cap and letting the natural drift of the ice take him closer to the Pole than anyone else had ever gone, Nansen became the oracle, the one whose advice and blessing all the others sought. One by one, as the 1890s turned into the 1900s and the Heroic Age of Polar Exploration accelerated and intensified, the leaders of subsequent expeditions turned to Nansen for advice. 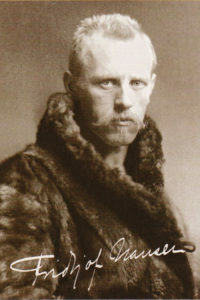 And as he became the elder statesman of all things polar, so too did Nansen become a statesman in the political events of the early 20th century. He joined in the struggle for Norway’s independence from Sweden, and became newly independent Norway’s first ambassador to Great Britain. He played a role in the formation of the League of Nations and was appointed their first High Commissioner for Refugees after World War I, ultimately repatriating hundreds of thousands of former prisoners of war to their homes in over thirty European nations. After the great crop failure and famine that began in Russia in 1917, his humanitarian efforts saved millions from starving. For these and other diplomatic feats, he was awarded the Nobel Peace Prize in 1922. Odd as it may seem, within the modern-day world of crazy people (yes, that includes me) who are obsessed with the Heroic Era of Polar Exploration, there are two camps — the Arctic and the Antarctic – and you are either one or the other. North is north and south is south and never the twain shall meet, so to speak. To swing both ways is to risk being ridiculed as “bipolar.” I know, crazy, right? The world, it seems, is increasingly specialized; the time of the generalist is over. But this year, I am going to break the rules. I am going to go bipolar. I am going to return to those northward yearnings of my youth. And I have Nansen as my role model. Ski champion, explorer, scientist, statesman, humanitarian — a genuine Renaissance man. And if Nansen could do all those things, be all those things, well surely I may be forgiven for going from one end of the world to the other. 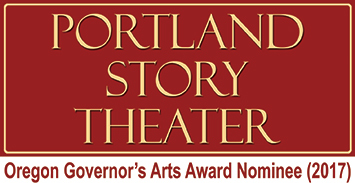 I am excited to be going northward again, following my compass, ever-striving for the elusive North Star. 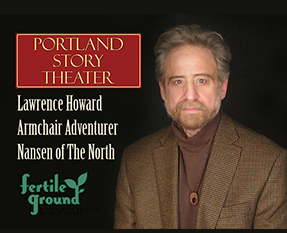 Four Shows – part of the Fertile Ground Festival! THIS SHOW ONLY 15+ ok if accompanied by an adult. Thank you for so artfully bringing to life the arctic/antarctic explorers. This month I’ve begun reading the book From Day to Day, a translation of a WWII diary written by Fridtjof Nansen’s son, Odd Nansen. During Odd’s captivity during the war, Odd kept the diary safe by hiding it in a specially made bread board. Of course, anything to do with the Nansen family reminds me of your stories, so thanks again! Thanks for the good words. So glad you enjoyed the Nansen story. I have heard about Odd Nansen and his book but haven’t had a chance to read it yet. Hope to see you at another show!